The sun begins to rise in the east and light fills into Ute Canyon. This beautiful chasm in Colorado National Monument is a great place to explore - either from below or above. 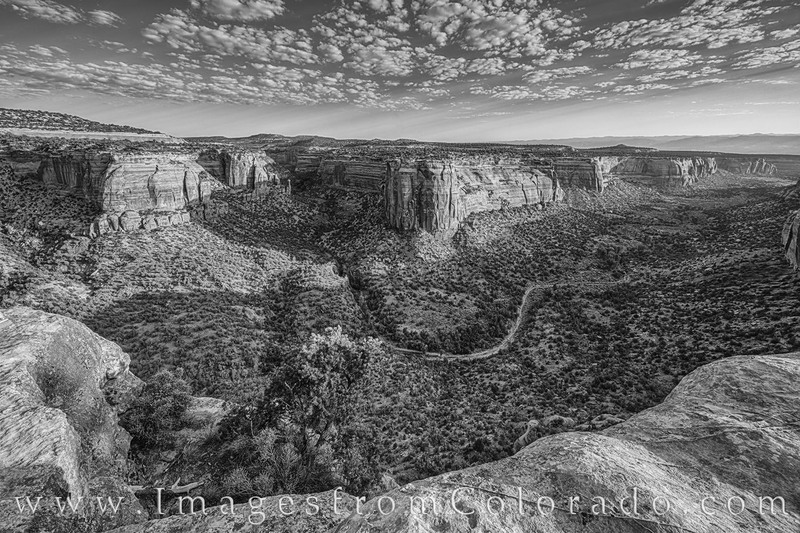 This black and white image was taken from high above the canyon floor. Photo © copyright by Rob Greebon.